A gift for the best Granny ever! 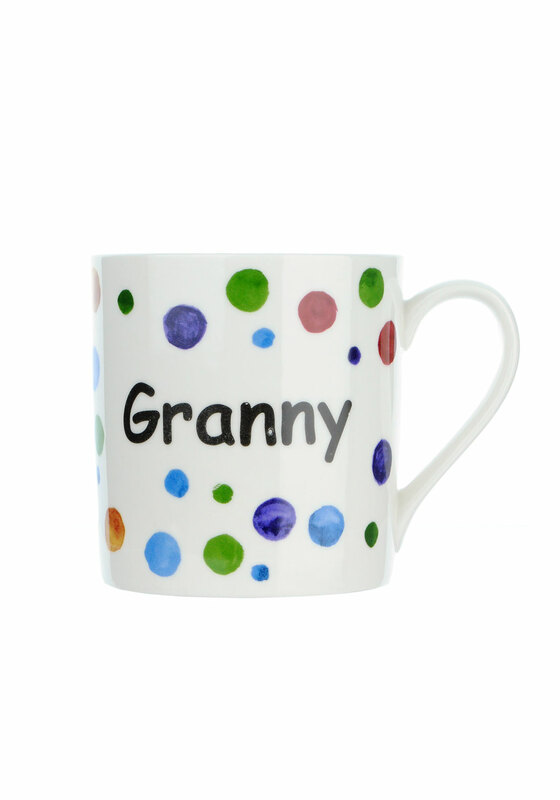 This thoughtful mug will demonstrate how much she means to you, every time she sticks on the kettle! 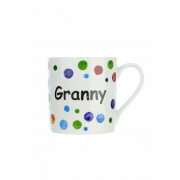 It features painted colourful dots and the word “Granny”.